Spring Break Starts Next Week! A reminder that spring break will be the week of March 23rd - March 27th. School will resume on Monday, March 30th. You do not need to submit attendance for the week of spring break. A reminder to submit attendance for this week ASAP before you forget!! Enjoy your time off and (hopefully) some sunshine! 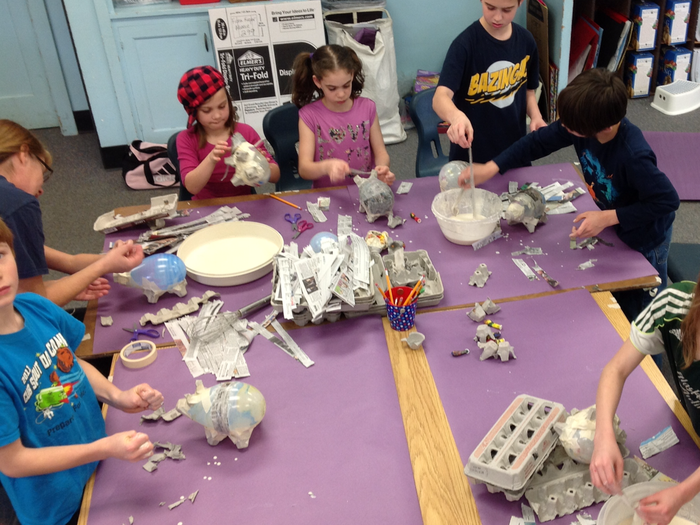 Students creating paper mâché piggy banks. This was before things got really messy! Kiera creating her piggy bank. 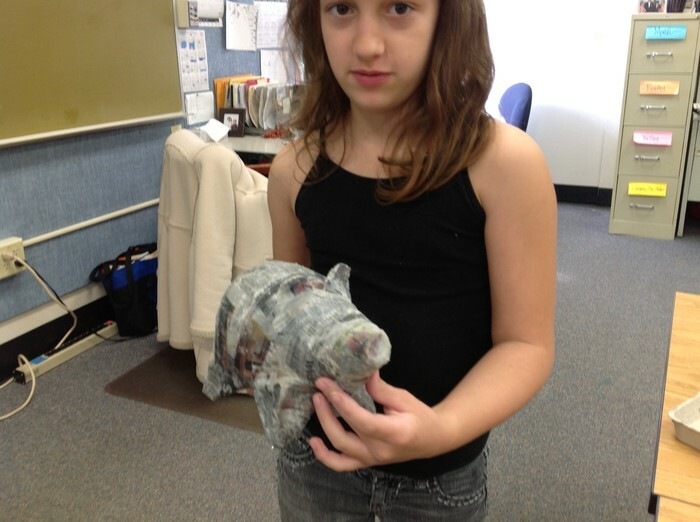 Chelsea showing off her finished piggy bank. Alliance Academy will be hosting a Talent Show on Thursday, April 30th. We hope your child will share their talents with us! If your student wants to participate, please register using the form below. If your child needs help with their speech, we will be helping students Thursdays from 10:00 - 11:30. 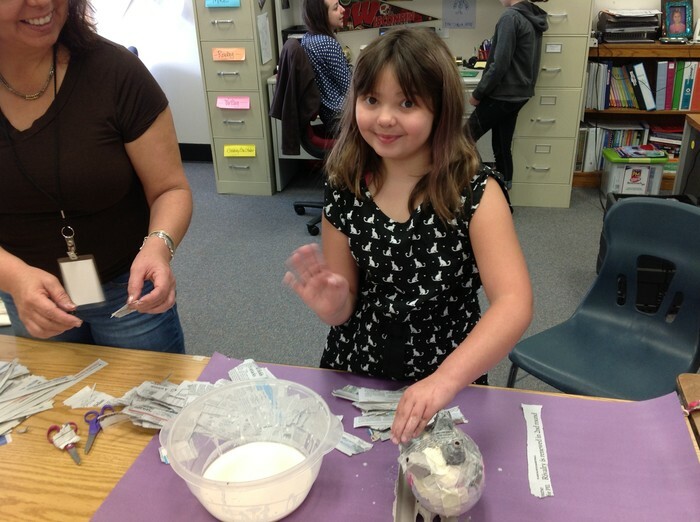 Now that we have a break from testing, we will continue to have Thursday enrichment classes. The month of April we will be focusing on the parts of an effective speech. The goal is for students to create the speech they will present at the talent show. We hope you can join us for class at 10:00 - 11:30 and stay for social time until 12:00 PM! A reminder that the first Wednesday we come back from spring break all receipts for consumable items are due! This would include things like write-in work books, art supplies, and science kits. This is because anything bought with school budget money needs to be used in the school year it is purchased- you may not purchase things you will use next year.